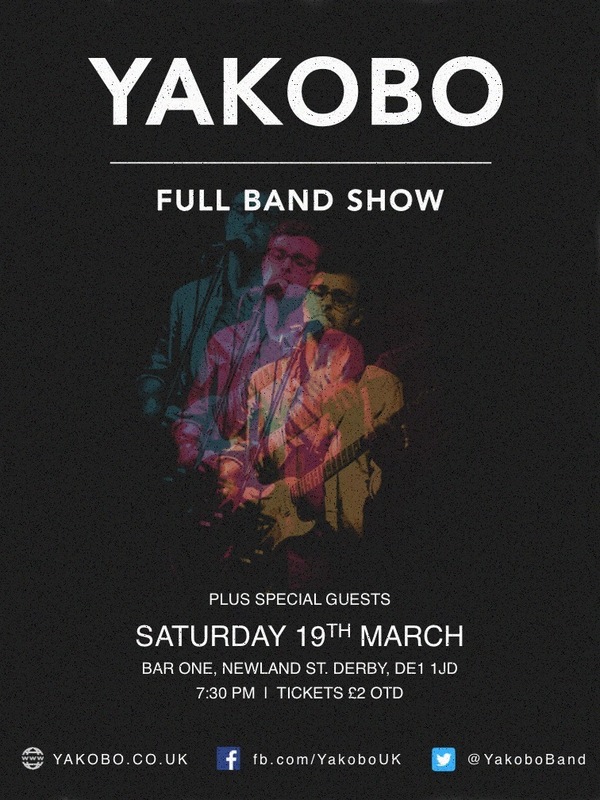 Yakobo will be playing a headline show accompanied by a full band on 19th March at Bar One, Derby. This will be the first Yakobo show with a band in 2 years, and the first time new material from the EP Trilogy will have been played live with full instrumentation. Support acts include acclaimed singer-songwriter Jo Lewis and loop pedal maverick Ben Parker. Tickets are only £2, or free to anyone who backed Yakobo on Kickstarter last year.